Mortgages rates fell for the second week in a row, moving below the 4 percent line for the 30 year fixed rate mortgage. According to Freddie Mac, the average interest rate on a 30 year fixed rate mortgage dropped to 3.98 percent in the last week of July, down from 4.04 percent the prior week and 4.12 percent in the same week last year. Rates for the 15 year fixed mortgage decreased as well, from 3.21 percent to 3.17 percent. In the same week of 2014, the rate was 3.23 percent. Adjustable rate mortgages also dropped for the week. 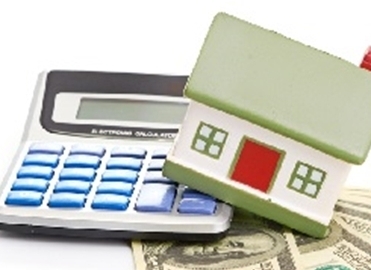 The five year adjustable rate mortgage dropped slightly, moving from 2.97 percent to 2.95 percent. The decrease was more significant year over year, as last year rates averaged 3.01 percent. The one year adjustable rate mortgage was the only one that showed a year over year increase, moving up from 2.38 percent to 2.52 percent. Despite the increase, week over week the category was still down, as it was 2.54 percent the week prior. Freddie Mac chief economist Sean Becketti explained that further decreases may be on the horizon. "The mortgage rate has bounced between 3.98 and 4.09 percent since the first full week of June, falling a bit when events overseas take a turn for the worse and rising when the clouds appear ready to part. With no clear direction coming from the Fed this afternoon, we expect more of the same in coming weeks," said Becketti in a statement. According to the Associated Press, many analysts expected rates to go up at some point in the year and are targeting September, following the results of the Federal Reserve Board of Governors' meeting that month. With rates expected to rise later in the year, more buyers will be trying to take advantage to the low rates while they can. Be ready for an influx of new applications with new loan management software from Graveco.